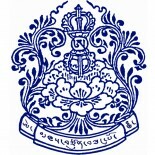 Pal Ngagyur Shedrup Döjö Ling continues to foster a strong relationship with its overseas sangha, many of whom were direct students of the late Khetsun Sangpo Rinpoche. The most active foreign sanghas are in the United States of America, France, and Japan. In the United States, Venerable Khetsun Sangpo Rinpoche spent time during the 1960s as a visiting lecturer at the University of Virginia. He returned more than a half dozen times, continuing to teach both at the University of Virginia, where he worked with Jeffrey Hopkins, and at Rice University in Houston, Texas, where he worked with Rigzin Drolma Anne Carolyn Klein. 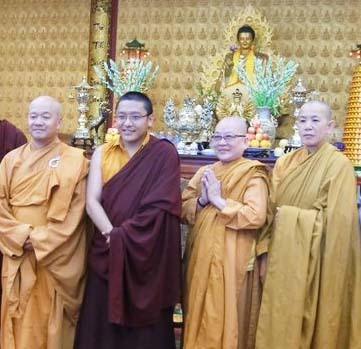 He is identified as one of the “Guiding Teachers” of Dawn Mountain Tibetan Temple in Houston, where he taught many times at the invitation of Rigzin Drolma and Harvey Aronson. His final visit to the USA was in 2006, when he taught at Dawn Mountain and also at the Shambhala Center in Boulder, Colorado. In 2008, Tulku Jigme Norbu Rinpoche made his first teaching trip to the United States, teaching at Dawn Mountain. In 2010, he returned and offered teachings at Dawn Mountain and Tu Bi Quan Am Dao Trang Temple in Houston and also at Palri Pema Od Ling in Austin, Texas. Also in 2010, Lama Thinley Gyatso from Nyingmapa Wishfulfilling Center arrived in Texas to teach at Texas A&M University and offer dharma practice and teachings through the Brazos Buddhist Association in College Station, Texas. He continued his work there through 2012. 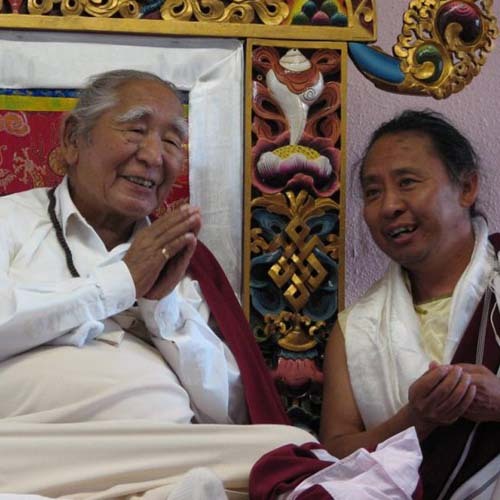 Khetsun Sangpo Rinpoche with Lama Tenzin Samphel in France. In France, Shedup Kunsang Chöling was founded in 1999 with the permission of Ven. Khetsun Sangpo Rinpoche and under the spiritual guidance of Lama Tenzin Samphel, at the request of a small group of Buddhist practitioners in the region of Soissons. Lama Tenzin was a disciple of Khetsun Sangpo Rinpoche and a shedra student at Ngagyur Shedrup Döjö Ling. Shedup Kunsang Choling received the official blessings of His Holiness the Dalai Lama in 2001. The center is now housed in Septvaux, a small village in the Aisne (Picardie) surrounded by forests, located between Soissons and Laon. Tulku Jigme Norbu Rinpoche frequently travels to France to offer teachings and enpowerments at Shedup Kunsang Chöling. Lama Tenzin Samphel has in recent years also offered teachings at Dawn Mountain Temple in Houston, Texas. The ten years that Venerable Khetsun Sangpo Rinpoche spent in Japan in the 1960s laid a firm foundation for the Japanese sangha. Students from Japan regularly reside at the Shedrup Döjö Ling guest house in Sundarijal and Lama Pasang regularly visits Japan to work with sangha members there.